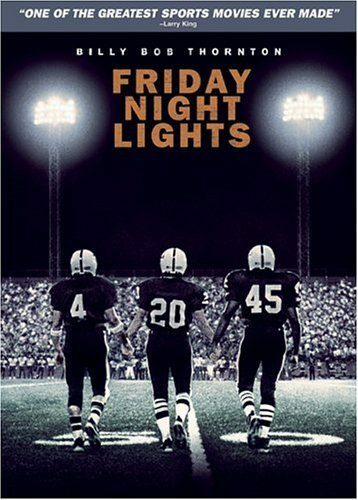 Friday Night Lights DVD Just $4.99 + FREE Shipping with Prime! You are here: Home / Great Deals / Amazon Deals / Friday Night Lights DVD Just $4.99 + FREE Shipping with Prime! Looking for a new movie to add to your collection? Get Friday Night Lights (Widescreen Edition) on DVD for just $4.99 on Amazon (reg. $12.98). Shipping will be FREE with Amazon Prime or an order of $35 or more. A genuine stand-up-and-cheer movie about a courageous high school football team’s fight to fulfill their destiny and live their dream, Friday Night Lights is “unforgettable and real!” (Larry King) Billy Bob Thornton stars in a true American story of how one legendary Texas town made hope come alive under the exhilarating glare of Friday Night Lights!